This story is one of joy, but even more so one of hope. Of course, as Brother James E. Faulconer reminds us, the kind of hope described in scripture is not a “natural hope” for “bodily and worldly matters — the hope that our job will be rewarding, that our children will do well in school, that we will get a raise. Christian hope is the hope for salvation.”[i] Moreover, Christian hope is a palpable divine gift, not simply a vague and wistful longing. Those who have proven faithful obtain an initial hope of attaining God’s kingdom when He grants them the “earnest of the Spirit in [their] hearts.”[ii] Such hope provides an “anchor … sure and steadfast”[iii] to those who suffer indignity and injustice in this life, allowing them to see God’s promises with absolute confidence from “afar off,” and to be “persuaded of them,” and to “[embrace] them,”[iv] knowing that “God … hath prepared for them [the supreme inheritance of His celestial] city”[v] in His own due time. In May 2005, David had a dream in which God asked him: “Why are you still alone? Why don’t you marry?” Three days later he was sleeping, and God spoke to him again. He said: “Look at the wife I have chosen for you. She is from the same tribe. She has studied and received a degree. And she is a tailor.” I woke up, and I thought, “Ah!” David began looking and eventually was led to Josephine. She was from his tribe, she had a degree, and she was a tailor. But she did not believe that he could sew. “Impossible!” she said to herself, “A blind tailor!” She came to his shop and was astonished to see him at work with some of his students. He asked if he could come to her shop to be sure she was really a tailor, too. When he arrived and met her there, he asked her to marry him and she said no. But during the visit she gave him a broken sewing machine to repair. He brought it back and she was again amazed to see that he had fixed it. After that, she started to visit him regularly. She learned that he was a committed Christian — that was something she had been looking for. They were married. The family has a testimony of tithing. David says: “With the little that I earn with my work, we strive to pay our tithing. Even though the business isn’t working out [as well as we’d like], we are still here. And I hope things will get better one day. This is why we are in our current situation, but we have no other choice. 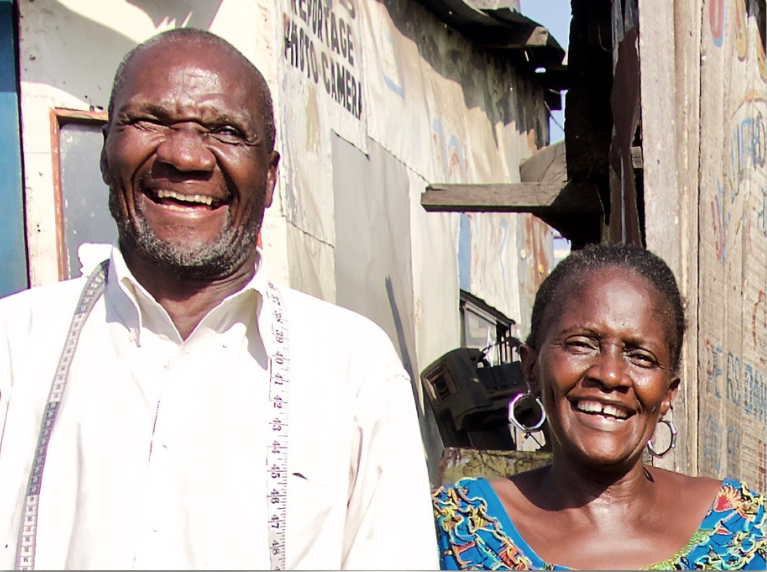 … Even when there is no money, we get along fine and we find a way to manage.” They are looking forward to being sealed as a family after the Kinshasa Temple is dedicated. Josephine’s favorite hymn is “We gather together to ask the Lord’s blessing.” She said: “I love … the last line [of the hymn] that says He remembers us. … When it says He remembers us, that includes all of us, without exception, including the handicapped. Bradshaw, Jeffrey M. “Faith, hope, and charity: The ‘three principal rounds’ of the ladder of heavenly ascent.” In “To Seek the Law of the Lord”: Essays in Honor of John W. Welch, edited by Paul Y. Hoskisson and Daniel C. Peterson, 59-112. Orem, UT: The Interpreter Foundation, 2017. [i] J. E. Faulconer, Life of Holiness, p. 207. For more on this subject, see J. M. Bradshaw, Faith, Hope, and Charity, pp. 94-100. [ii] 2 Corinthians 1:22, 5:5. Cf. Ephesians 1:14. Just as a purchaser pledges eventual full payment by the initial deposit of an earnest money, God gives a first installment of hope to believers through the confirmation of His Spirit, promising that He will provide their full inheritance as sons and daughters of God if they endure to the end.